Many people associate roses with beauty and romance. But me? Roses make me think of my grandfather. Specifically his nose. You see, my grandfather’s honker was a bit bulbous, and my dad had this joke: “Before Pop-Pop was born, God asked him what type of nose he wanted, but he thought God said ‘rose’ so he asked for a big red one.” Good one, Dad. Roses have wonderful skin benefits. These fragrant flowers are antibacterial, ant-inflammatory, and rich in vitamin C, a potent antioxidant. They are also a natural astringent, helping to tighten pores, while the flowers’ nourishing oils moisturize. Combine these properties with witch hazel — a super effective natural astringent — and you have yourself a fantastic facial toner. Combine the roses and witch hazel in a clean, sterile jar, and secure the lid. Give the jar a few little swirls to get rid of any air between the roses so they’ll effectively soak up the witch hazel. Let the jar sit for 2 days, then strain the now rose-infused witch hazel using a clean piece of cloth or a coffee filter — squeeze the roses to get as much of the witch hazel out as possible. You’ll notice the roses have lost their pigment by this point and are white (like those to the right in the image below). Lastly, simply bottle up the rose-infused witch hazel (again, in a clean, sterile bottle) and there you have it: your very own all-natural pore-perfecting rose facial toner. I would simply wash and then apply my face oils. 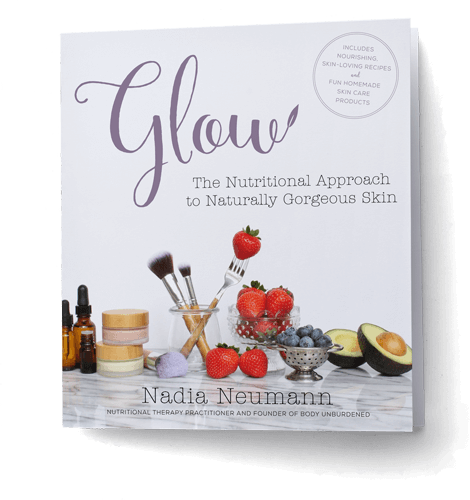 But I love this simple recipe and will definitely continue to use it as part of my daily skincare routine. Because of roses’ unique astringent and moisturizing power combo, it has really helped to soothe my skin, which tends to get a little more irritated around the change of the seasons (it’s really very bratty). I love the story about your grandfather 🙂 and this toner sounds wonderful! I always used to buy rose witch hazel but it’d be fun to try making it myself! Great post! Could you use any of the rose EO’s instead of actual roses? How do you apply the toner? Spray on, or wipe on? I personally apply it with a cotton pad but you could also spry it on – just don’t get it in your eyes! Will golden witch hazel work in place of the regular witch hazel? I love rosewater. Its very soothing to my skin. Secondly, it smells amazing. I combine it with geranium. It helps de stress me. 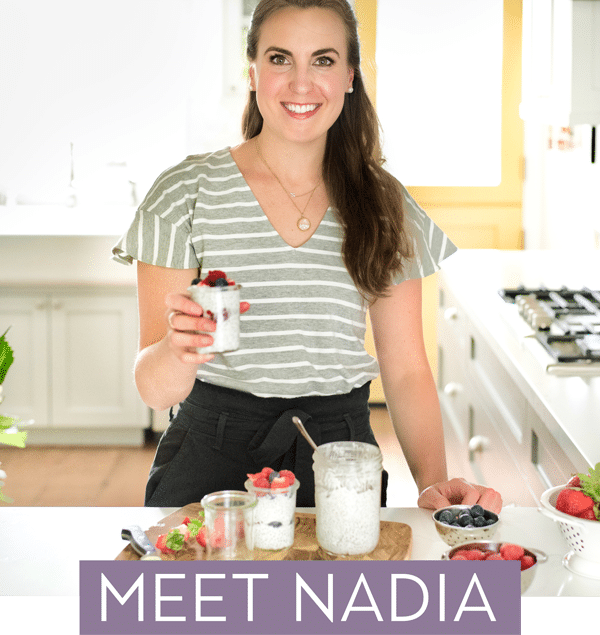 Hi Nadia I must say I’m falling in love with your website! I’m always looking to find ways to combat my annoying skin. I have oily, sensitive, acne prone skin and the past year and a half I went from barley any breakouts to breaking out worse than when I was a teenager. I’m planning on making/using your Oil recipe for oily/acne skin and was wondering if I were to use this toner as well do you think it would irritate my skin because of all the oil combinations? I’ve never used oils before but I’m willing to give anything a shot at this point! Also wondering if you could substitute rose oil instead of the petals and if so how much rose EO would you use? I’ve never used oils before but I’m willing to give anything a shot at this point! Thanks so much!! Could you use rose hydrosol instead of the petals? Or will it not be the same? I absolutely love your blog!! I hail from India and the essential oils fad hasn’t quite caught up as much here. I have extremely oily skin which has deteriorated with years of neglecting acne. Huge pores and acne marks make my skin look older. I started using Essential oils after coming across your blog one fateful day and i can actually bear looking at myself in the mirror. A few ingredients like betonite clay and witch hazel that you have used for your DIYs are extremely difficult to obtain. But I am trying!!! Thank you so much!! Keep writing such amazing DIYs always! Hi, Neha! YAY! I’m so happy the EOs have been helpful for you. I have heard that from a few readers — can you get the ingredients through a site like Amazon? Or are there any local herbal shops? They may have the clay. Do you have a good Facial Moisturizer for older, dryer skin? 52yo male. Thank you. I love this, and very much want to try it. But I live in an area where roses without chemicals is a unheard of. Could I use rosewater instead? Is there a site you order them from, the roses? Please let me know, I am a die hard fan, and my daughters and I are making a full turn around of all of our cosmetics and face products. I totally understand that concern — yes, I link to the store where I buy my organic dried roses in the post. can we use thayers’ witch hazel as a substitute for the one that u used? I prefer organic but that’s your choice! Hi Nadia, I’ve been using your recipe for a month now and it’s awesome! HI I was just wondering why you wouldn’t say go with Thayers that has Alcohol Free toners?? I like to where I like to get mine form in the post, but I see they’re out of stock. But you can get them on Amazon, too. Can you use Rose Hip Seed oil instead of rose petals? No they are very very different. I was wondering if the brand NOW Essential Oil “Rose Absolute” could be used instead of the rose petals. It is a 5% oil blend of pure rose absolute and pure grape seed oil. I looked through the other posts and saw that you advised against using rose hip seed oil but did not see a response about the rose absolute. You have such an amazing site and I am so thankful that you have put time into wanting to help others with DIY projects! I’ve been trying lots of your recipes and love them all so far! I’ve thought about using witch hazel before but I’m nervous because it has alcohol. I used products with alcohol when I was younger and my skin did not like it. I’m wondering if using oil moisturizers afterwards is what balances that out though. What are your thoughts? I am trying to make a serum/toner with rose essential oil. Do you have any recommendation on how to make the serum/toner? Hi Nadia! I’m excited to try this toner! I see people have asked before, but I don’t see a response. Do you think using an organic pure rose essential oil would work instead of the dried petals? If so, What ratio would you mix? If you would like, sure! I would just stay below the 5% maximum dilution for the rose essential oil. And you will likely have to shake it up before each use. How do you measure the rose petals? Packed or loosely? I do it pretty loosely. I had tried to make this toner, but the roses I ordered from your link came as crushed flakes and not whole roses like in your photos. Also, when I added the ratio of roses and witch hazel to the glass jar, the crushed roses immediately soaked up all the witch hazel to the point where there were many completely dry rose flakes left in my jar and absolutley no liquid. Am I doing something wrong? Should I add more toner for it roses to be “floating” in the witch hazel? Thanks for the neat recipe! I am excited to try.. Question please! Would roses freshly plucked from the garden work, or do they HAVE to be dried first..? I had tried to make this toner, but the roses I ordered from your link came as crushed flakes and not whole roses like in your photos. Also, when I added the ratio of roses and witch hazel to the glass jar, the crushed roses immediately soaked up all the witch hazel to the point where there were many completely dry rose flakes left in my jar and absolutley no liquid. Am I doing something wrong? Oh gosh, I think I may have had the wrong amount of roses in here! But it’s OK – just fill the jar with enough witch hazel to cover the petals. And yes, I linked to the petals instead of the buds (which are pictured) because I think you get more bang for your buck with the petals (the buds just look pretty, but both do the same thing). Mountain Rose Herbs does also sell the whole buds if you want to get them next time. Thanks for pointing this out! I’ll edit the post. You know, I haven’t tried fresh roses so I’m not 100% sure but I think they do need to be dried so they can absorb the witch hazel. You can give it a try if you want though and report back! I just stumbled upon your blog, and I’m hooked! I want to make this toner but witch hazel is not available in my country- whats a good substitute if I have a relatively dry skin? And can I add some Lavender essential oil? Unfortunately when you click on the links that you were so kind to provide, the website that sells the rose petals it out of stock. do you make any of the products that you do to tutorials for? I’d love to buy the rose petal toner since I can’t find the petals to make it myself . Hi I am a 59 year old african America woman. My skin is medium to dark and I have been sing liquid black soap to clean my skin and Tea Tree oil to tone it. I do not have acne. I think the rose water would suit my skin just fine. However, do you have any suggestions for cleansers, order you think the raw organic liquid black soap is good? I have some darkness and scaring on my nose that I am trying to lighten up. Thus far the aragon and rose hips are working. I do see a change. Its the my overall routine that I am trying to hype up at my age. I love your website by the way! I’ve been using this recipe for about a month, in conjunction with a jojoba/rose hip oil blend and have been getting lots of compliments on my skin! Thank you so much for sharing this recipe and the post about face oils. What is the shelf life of this toner? Should I be storing it in the fridge? Thanks! Hi, Claudia! Yay that makes me so happy to hear 🙂 I’d say about 3-4 months so long as you’ve taken the proper steps to prevent bacteria growth (like preventing water from entering your bottle, using super clean bottle, washing your hands before making the toner, etc). Nadia, I’m about to order some rosebuds, just a quick question- how many oz should I get. Would 4oz enough for 1/4 cup dried whole rose buds? Yes, I think that would be enough! I’m really new to essential oils & DIY face cleaners, etc. I want to try this really bad-I’m 35 & not getting younger! Can I just use essential rose oil with the witch hazel? And how much would you mix together with rose oil? I appreciate your hardwork at blogging this info for others! And taking the time at answering comments (even newbies, like me)!! I can’t wait to try this for both mine and my daughters skin. She breaks out easily and I could def use something to minimize my pores. First off, would rose Otto be an acceptable substitute and as far as the shelf life how long will this last and would the addition of vitamin E or other natural preservative help? You mean rose otto essential oil? Just know that it will not mix evenly with the water. Same with vitamin E – it would float to the top of the mixture. I made this and it did not look like yours in the picture. Mine was really red. Did I do something wrong? It also has a very strong smell which I assume is the witch hazel. I used T.N. Dickenson witch hazel. Were your petals red? Mine were pink which probably why it’s lighter. question about the steps, #1 cleanse #2 toner and #3 face oils in that order? thanks for your site I stumbled on it and love it. Hey! Love your website and can’t wait to try out some of your recipes. I was just wondering about the witch hazel in this toner. I have read several places that you should avoid witch hazel if you have dry skin. My skin is dry/normal, but breakout prone along chin and jawline. What do think? Could I still try this, or will it be too drying? And if so, do you have any suggestions to substitutes or other DIY toners? Keep doing what your doing! Its awesome and sooo helpfull! Have you ever had issues with your face breaking out with little bumps? The bumps aren’t red or pimples. I’m using an activate charcoal fash wash. Rose infused witch hazel. And half castor oil, half Hempseed oil. I added lavender, frankincense, ylang-ylang, and tea tree essential oil. Can you give the weight of 1/4 cup of rose petals? Would this method work for dried peppermint, lavender, chamomile and/or calendula? I’m curious, would it be an issue to leave a few roses in the toner or does it need to be completely strained? My witch hazel says 14% alcohol, is that ok? Should I be looking for a brand that is 100% witch hazel? I’ve made this twice now and I really love it! My skin has never been better. I use pink rose petals purchased from Mountain Rose Herbs and Thayer’s alcohol-free witch hazel with aloe vera. I like this homemade toner much better than apple cider vinegar, which is too harsh. Thanks for a wonderful recipe. I will be using it for a long time. Ohh YAY I’m so happy to hear it! Thank you so much for reporting back 🙂 Ohh and don’t you love the smell too! ?